Your office has innumerable ways to reduce waste and energy consumption, but the break room is often overlooked. This is where workers socialize, energize, and unwind–but this traffic generates a lot of waste. Here are some ideas to make your break room as green as the rest of your operation. 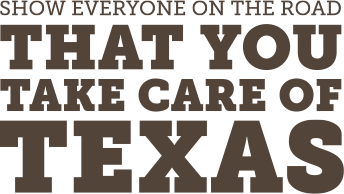 It could be the first step in a campaign to make your organization an environmental leader, as green break room practices will spread to every corner of your operation. A perspective that includes the entire life cycle of the products you buy for your break room can help you “find new opportunities to reduce environmental impacts, conserve resources, and reduce costs,” according to the EPA. Consider supplying your break room with Sustainable Materials Management, or SMM, in mind. This systemic approach helps you use fewer materials and toxic chemicals and fulfill current demands with an eye on the future. Instead of single-use plastic stirrer sticks, use recycled, biodegradable, or sustainably-sourced ones. 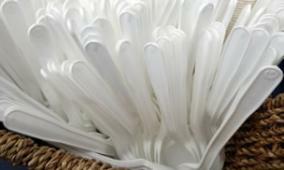 For example, many coffee shops use flat, dry noodles as stirrer sticks as they are cheap and biodegradable. Encourage reusable mugs instead of paper or foam cups. Offer mugs with your company logo or provide a washing station for mugs from home. Single packets of sugar and creamer create extra paper and plastic waste, which can be reduced by providing bulk containers. Single-use coffee “pods” create unnecessary waste. Recycling the pods can be difficult, as most cannot be recycled as a unit. Consult the manufacturer for instructions on recycling parts of the pods and check with your local recycler to see if these materials are recyclable. Or even better, brew with reusable pods. 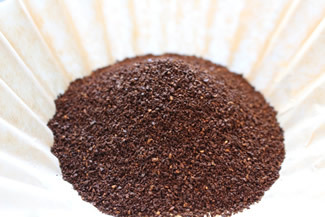 If multiple people drink coffee, consider using a traditional coffee maker to brew a full pot large enough to serve the whole coffee-drinking crowd, but not so big that it wastes water and energy. Items like paper plates and plastic flatware can create additional waste in the break room. Instead, encourage your office to use durable, reusable dishes and flatware whenever possible. Create a dishwashing station or purchase an efficient automatic dishwasher. Keeping your workforce healthy and productive includes hydration, so make it an easy habit with waste-reducing options. Providing single-use water bottles and sugary drinks is costly and creates waste, even if most workers recycle their bottles. Encourage a culture of reusable bottle use or provide some attractive, durable bottles with your company logo. It can be difficult to fill a water bottle at a traditional drinking fountain, so consider installing a bottle-filling station that dispenses chilled tap water. This feature can save your company money, as the long-term cost of an installation is less than the long-term cost of continually buying single water bottles. 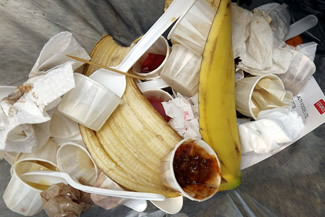 Sometimes waste is inevitable in your break room—a pizza party with paper plates, the daily pile of coffee grinds and filters, leftover food scraps, food packaging, and so forth. Whenever possible, buy items that come in recyclable packaging. Make recycle bins accessible in the break room and clearly mark them with sorting instructions. If you provide snacks to your clients or workers, find snacks that use minimal or no packaging. Keep a recycle bin nearby. Compost what you can—coffee grinds, fruit and vegetable scraps, and some paper products can be saved from the landfill and turned into a rich soil additive. For more information see our previous article on office composting. Your break room may be home to some of the biggest energy consumers in your office. When equipping a break room, choose energy-efficient appliances. Upgrading to more efficient appliances such as microwaves, coffee makers, or refrigerators can help you save money and energy. Be sure to dispose of any old appliances with a local recycler.